Jeffrey Davis at Tracking Wonder put together a program to help business artists plan for 2015 in an unusual way. 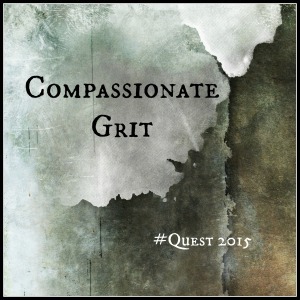 Quest 2015 consists of a community of people and a prompt that is sent out for people to respond to every Tuesday, Thursday, and Saturday during the month of December. I signed up in November, but the illness I have been battling in December kept me from diving in earlier. I am starting late, but this is the sort of thing where there really is no late. Yes, I have missed out on some of the community building, but the reflection is always appropriate. 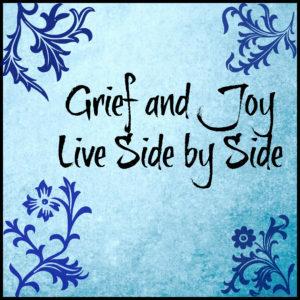 Part of the community building is through sharing blog posts, so I will be posting more frequently between now and the end of my reflections. After the 12 reflection posts, I’ll be back to my regular, irregular posting schedule. Grit without compassion is just grind. What would be most fun to create this year? How can self-compassionate grit support you in that creating? My life over the past decade has included a lot of grind. Too much getting through things; not enough ease in the perserverence. And when the ease goes, the grit leads to burnout, not success. I burned out in 2014. When I say ease, I refer to the feeling of flow, the deep connectedness to doing the work that leads to focus and progress. I am not suggesting easy tasks. In fact, the tasks I have in mind are all difficult: raising kids, finishing two novels, and building a business. Grit got me a long way – 11 years with a twice-exceptional kid and almost 8 after adding triplets, including another twice-exceptional kid, to the family, two novels in process, and a beginning to the business. But, I have been hard on myself, pushing myself to always do more, because there is always more that could be done. I had forgotten to take care of myself to maintain the motivation for the truly long haul. In 2014, I have remembered to take care of myself more, seeking out the friends who nurture me, who show me my strengths, who remind me to dance and play, and who tell me to take it easy on myself. I am slowly building new habits: sitting quietly in the evening not working for a few minutes at the end of the day; reading fewer novels to study my genre and more novels I want to read; asking for help instead of doing everything myself. The things I want to create aren’t changing over time. I still want to tell stories with depth and heart. I still want to help other people create lives that feel meaningful and worthy through my coaching business. I still want to raise emotionally aware, kind, and productive children who choose lives that are meaningful to them over thoughtless conformity. When I create these things from a place of playfulness, inventiveness, and fun, I am more successful and more satisfied, and my whole life is enriched. When I create from a place of anxiety and a sense that time is short, I suffer and eventually collapse under the pressure. It is time to remind myself that small steps forward are progress, that I can only do so much in a day, and that I must nurture myself to sustain myself for the duration. Because the truth is, I do an astounding amount of work, and all of it is good enough – and much of it is a whole lot better than that. This first prompt came from Jen Louden. According to her bio, she is a writer, pioneer in the personal growth field, author of several popular books, and guide for navigating your life with authenticity. She is founder of the TeachNow program, which has served thousands of teachers, service providers, and entrepreneurs. This morning, many of my friends were surprised to see me post on Facebook that I am taking an indefinite leave of absence from that social media site. I have been very active on Facebook over the past few years and I have fabulous conversations with dear friends, wonderful colleagues, and friends of friends who I would not have met any other way. One of the things about being an outlier is that local communities tend to offer small numbers of people who understand you. But, Facebook allows me to keep in touch with most of the people I have really clicked with in real life. I had 3 close friends in elementary school, 1 best friend in middle school, 3 deep friends at drama camp, larger groups from the congregated gifted program at my high school, the colleges I went to, etc. Every major stage of my life yielded at least one friend I was sorry to part from when life developed in ways that meant moving. It is astonishing how many of those people I manage to have in-depth conversations with via Facebook despite thousands of miles between us. My husband’s family is all in England and we rarely see them but stay connected through Facebook. I have nephews I have only seen on video chats and Facebook. Because the extended family posts pictures and silly stories on Facebook, I have a relationship with folks I would not make the time to write regular letters to. Each connection may not feel like much, but I have a sense of who these people are that I would never have if we only met at weddings and funerals. This is my family. For us, Facebook is a tool for cultivating love. I participate in communities with very specific interests and issues. For example, Facebook is fabulous for parents of twice-exceptional kids to connect. By definition, we are stressed. Our kids need crazy amounts of attention. We burn out easily. We find ourselves awake at strange times, exhausted and only capable of communicating in controlled fashion. And, our kids are rare in the population. One of my sons was described by the principal of his K-8 elementary school of 500 kids as “the most challenging kid in this school”, and they couldn’t remember ever working with a student that bright with that many challenges. I can log on to Facebook and talk to 20 parents of similar children who are seen as unique by their schools. I discover that I am not alone and hear about other kids like mine. And then there is the intellectual stimulation. My friends post all sorts of fascinating articles. And I follow all sorts of organizations that post intellectually interesting material. Between them, I have a never-ending supply of stimulation for my intellectual over-excitabilities. I get a lot of my best intellectual stimulation from Facebook. When I turn around and forward things to my timeline or one of the pages I run, I move that idea out into the world without giving it time to mix with other ideas in my brain or my daily, embodied experiences. My brain thinks it has dealt with the material and files it in “done” or forgets it. And I have fewer ideas to write about, both in my fiction and in my blogging. When I post less on Facebook, I have more motivation and more time to blog, and I am better at it. The number of half-baked, under-cooked blog posts I have failed to complete since my Facebook time became out-of-control is frankly inexcusable. I need to leave ideas in my head for longer before I act on them or move them out. Less Facebook will help me do that. My life is stressful. I have 4 crazy, wild, wonderful, creative, brilliant, stubborn kids. According to the school district, they all have special needs. (Let me tell you now how awesome it is to live in a school district where all gifted kids are seen as having individual special needs, not just my obviously twice-exceptional kids.) My husband’s job has been stressful for years and got worse for a bit this year. I started a business last year. Over the winter, I got pneumonia and my husband broke 3 ribs. It has been a rough 6-9 months. Given the combination of stressors in real life and the awesomeness of Facebook, it is not surprising that I have used Facebook as a way of escaping from the difficult parts of my life. The connections with people not connected to my daily stress and the intellectual stimulation have been an amazing distraction. But, my husband has started complaining that I am on Facebook when he wants to be with me. And I have found myself in the habit of being on my phone chatting with friends instead of being fully present for my kids. These habits are bad. My husband and kids need my attention. If I don’t pay full attention to them, not only do they get upset with me for good reason, but I enjoy my time with them less. I need to get control of my smart phone habits. I need to be more present with my kids. How can I know who they are if I don’t take the time to see them. Are my own kids in the room with me less valuable to me than nephews I have never seen? They shouldn’t be. To the extent Facebook is damaging my family, I need to stop. Why Don’t I Just Cut Back? I have tried and I can’t do it. You see, there is always something happening on Facebook. My most recent post or the conversation I have been having since this morning may be generating comments at any time. I find myself with a compulsion to check. And I can check from my phone anywhere, at any time. One weak moment and I have failed. Changing habits is hard. It is much easier to replace a behaviour entirely than to moderate it. I don’t need Facebook. 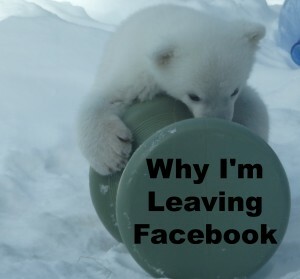 By cutting myself off completely for some time, I will be forced to replace my Facebooking habits with other things. Once I have filled my time with non-Facebook habits, then I can see if my life is enriched by adding Facebook back into my life. I suspect it will be. But I have to replace the habits first. How Long Will it Take to Make The Changes I Need to Make? Gurus say it takes 21 or 28 days to change a habit, but it isn’t true. Long standing habits in adults can take much longer to change. 60 days is not uncommon for deeply ingrained habits. Changing a habit requires making new connections in your brain that are stronger than the connections that already exist. My obsessive Facebook checking has been reinforced to an unknown level. I cannot predict how long it will take to replace the craving for an update with the instinct of going for a run, laughing with my kids, watching them play, writing a few sentences, drinking a glass of water, calling a friend, or folding the laundry. How will I know that it might be safe to test the waters again? When I no longer feel the need to. When it feels like an option, not a compulsion. Until I can make that distinction, I am taking a break. I can’t wait to see how I fill the time. And I am looking forward to reconnecting with my family at the level that nurtures us all deeply. I have been thinking about how to teach children to write. Especially how to control a sentence when you write creative fiction, and that means grammar and mechanics. Two of my kids have been homeschoolers this year. They are both reluctant writers, though my eldest has elaborate ideas and stories that he plays with even when he doesn’t write them down. And, he has an intuitive understanding of narrative structure that makes me jealous. Part of my difficulty in determining how to teach them the myriad of skills involved in writing well is that I have spent much of the past two years training myself out of habits I saw my eldest being encouraged to develop last year at school, especially in his creative writing. He was being taught to add adjectives and adverbs to develop descriptions; I was teaching myself to replace my adjectives and adverbs with more specific nouns and verbs. I found myself wondering whether there was another way to teach writing that didn’t require so much unlearning – or whether this really was an age appropriate way of learning to write. Some people believe writing must be taught very formally and others believe that writing well develops naturally from reading good literature. I am conviced there is a third way. In the fall, I took a course that introduced me to Breaking the Rules: Liberating Writers Through Innovative Grammar Instruction by Edgar H. Schuster. Schuster suggests a wonderful approach to learning grammar, an approach built on the assumption that we absorb grammatical rules as we learn to speak, so grammatical instruction is about refining and articulating an understanding that we already have. In the book, he lays out both why he thinks this is the best way to teach grammar, but he also provides teaching examples. He also provides examples of how to discuss “rules” of grammar that are frequently broken in published works. For example, sentence fragments. He encourages teachers to look at sentence fragments in literature with their students and ask how the fragment works, what impact it has on the reader. And then, to look at sentence fragments that confuse a reader or hinder understanding in some way and ask why the language works that way. He aims for a functional understanding of grammar. This appeals to me. Grammar is the how of linguistic communciation, the structure of language, written and spoken. For most people, the application of grammatical understanding is what matters. So, I have been teaching grammar in the context of writing. Our early assignments were retelling Aesop’s Fables. We would read them together, discuss the narrative elements of the story and any interesting sentence structures, and then he would write the story in his own words. I would mark up the draft using professional proofreaders’ marks, and we would discuss the revisions. Grammar lessons came up as he needed them, but no more. It is clear to me that his functional understanding of grammar has improved through this approach. But, there are some formal rules and some vocabulary related to grammatical analysis that I would like him to know. So, we play Mad Libs. We read books about grammar and why it matters, like Eats, Shoots & Leaves. I am looking for my copy of Breaking the Rules, which got misplaced in our move, for more analytical activities. But, my son’s favourite grammar and punctuation activity is proof-reading my work. The satisfastion he gets when he finds an error is worth any momentary embarrassment I may feel. I have heard a lot of horror stories of how sensitive children stopped writing when a teacher said something critical of their work. I am wondering how we can support children as they learn to wield the magical power of words. Do you have any stories of things your teachers did right when it came to teaching you to write? I didn’t mean to disappear, but my priorities have been away from this blog during April and I couldn’t bring myself to post the dreck that I was writing when I did sit down to write for this site. I did improvise poetry for 24 letters of the alphabet for A More Playful Life during the A to Z blogging challenge. W and X are still waiting for their moments. Putting unpolished work out on the net was odd. I felt extremely conflicted about whether I wanted people to read them poems or not. When I have performed improvised poetry in classes led by poet Alison Luterman, I have frozen. I loosened up somewhat writing these poems. I think it was a good exercise. I have been busy revising my work in progress for my novel-writing class. We submitted the first 20 pages this past weekend and will be pitching the novels to a panel next week. With the excellent comments on the opening that I received from Charlotte Rains Dixon and feedback from my class on the synopsis, I had some significant changes I wanted to make. I am pleased with the current state of things, but not complacent. 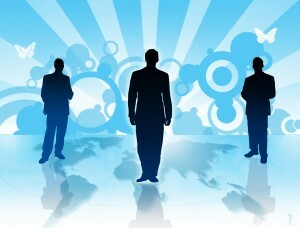 The panel next week is going to choose one package to share with the chief acquisitions editor of a major publisher. I think I stand a reasonable chance of being selected and want my work to show me in the best light possible. The novel had to take priority over the blog. My other priority has been celebrating my triplets’ fifth birthday. They are old enough to take the birthday adventure seriously and getting things right has been a challenge. My favourite part of preparing for the birthday celebrations was the evening before their birthday. One at a time, I took each child into my room to wrap presents and sign cards. Each child had a fit of jealousy that their siblings were going to receive these cool gifts, and I had to help them understand that they would also be getting gifts. The moment of understanding was different for each child, but in each case, I got to witness a glow of excitement and anticipation as they realized what their siblings were doing when alone with me. The actual birthday was fun. The birthday party was more of a relief than anything else. I wrote about getting ready for the party for An Intense Life today. In that piece I describe the intensity of the kids by comparing them to small monkey pumped full of amphetamines. It was wild. I pushed myself too hard in March, blogging every day. I needed energy I had already used for getting through April, and there was too much going on at the end of April. So, I am doing myself a favour – or at least I think it is a favour. I’m not deciding how often I am going to post here in May. Suffice it to say that I plan for it to be more than April and less than March. There was too much going on in March and April. I need to strike a new balance, a balance that puts my priorities where they need to be – on getting the novel finished. I am in the part of my learning curve with my fiction writing that will push me to the brink. Like many adults who slid through school without having to work hard, I never developed habits of persistence and grit. And now, I have to if I want to make progress. I got through school by showing up to class, reading the assigned work, and taking the tests. Notice the complete lack of revision, study, or thinking about the material to understand what I was missing. I always understood enough to get As, but never enough to excel. I had no motivation to excel. To excel would have required me to live through the discomfort of staring what I didn’t know in the face and hanging out with it, examining it from all angles, trying to find a path to understanding – a discomfort that most people encounter before leaving high school, but that I managed to get through law school without ever encountering. This pattern of not pushing myself has led to a classic case of adult underachievement, a failure on my part to fully use my strengths to accomplish my goals. Luckily, the universe sent me a bunch of challenging children to parent. I can’t stay in bed all day and ignore my kids. I have to do my best to help them grow into happy, healthy, productive citizens. And, like all parents, some days are not so good. Some days, I really feel like a failure. But, I need to get up the next day and keep trying, hoping that what I can manage to accomplish that day will be enough. Parenting has forced me to develop persistence, to become comfortable with studying, experimenting, and changing things that aren’t working. For the first time, I have been given a task that feels too hard for me, but that I refuse to give up on, and I am learning to push past what comes easily. As a writer, I have reached the point where I need to dig in for the long haul and do the hard work. I have written bad first drafts; I have read a huge amount about the craft of writing; I have written good and bad short stories; and now I am revising a novel – a very messy, in serious need of hard work, novel. I am unwilling to give up on this novel. But, I don’t have the discipline of decades of hard work to draw on. I need help getting past my lazy habits of doing just enough to get by. For now, I need external deadlines to meet, to push me through the frustrations. I hope not to need them forever. I have homework due for my novel-writing class – homework that will require me to do some analysis of my draft that I have been putting of for too long because it is hard. I have agreed to send the first 25 pages of my WIP to Charlotte Rains Dixon tomorrow because I won a critique from her. I am terrified to give her these pages. This is the weakest part of my draft and I know it. But, it is better now than it was before I won the critique, and it will be better again before I submit the first 20 pages at the end of my class in a few weeks. I am determined to beat this underachievement thing. So far, it looks like I am off to a great start in my goal of raising readers. The pile of books my kids bring home after each visit to the library is evidence of that. But, I don’t just want my kids to be able to read. I want them to feel comfortable with turning to written materials to learn anything they want, to know the joy of reading stories that engage them and move them emotionally, and to find the great literature of the English language accessible. To succeed in the last task, making the great literature accessible, I must introduce them not only to the classics, but also to the material referred to by the classics. So, on this weekend of Easter and Passover, I am telling them bible stories. We are neither Christian nor Jewish. We do, however, celebrate a springtime festival of chocolate that we call Easter, and a winter festival of lights and gift-giving that we call Christmas. I am not telling them these stories because they are part of our faith tradition; I am telling them these stories because they are reference material for literate readers. So, last night, we talked about the plagues of Egypt, the slaughter of the Egyptian first-born sons, the exodus, the crucifixion, and the empty tomb. We also talked about calendars and the scheduling of holidays. Today, we will be at a maple syrup festival and will surely talk about symbols of spring. Sunday’s egg hunt will bring us to conversations about how religions use natural phenomena as symbols. We have these conversations every year. As the kids get older, the conversations get deeper, richer, and more complex. I am fully conscious that what I am doing is passing down cultural traditions in a way that reveals my deepest beliefs. I am sharing stories I think are necessary for my children to understand their literary heritage. I am sharing my appreciation for myth and metaphor, encouraging an understanding of the importance of the stories we tell, grounding my love of wonder and miracle in observation of the natural world, and imparting my belief that history is a vital part of understanding who we are. To me, all of these elements are part of teaching my children to read. It is not just enough to be able to look at words and know what they mean. To read well, you need to understand what the author is talking about, and that often means understanding references to other material. I wrote about the need for writers to read widely last April, and included familiarity with the bible in that context. I believe that raising literate readers requires the same approach. Are there specific books and stories you think children should be exposed to? I did something very unusual this morning. I gave my son pages of my WIP and asked for his feedback. I am revising these pages to submit to an editor for feedback by the end of this week and was working on them next to him as he was working on school work. He asked me if they were part of my book and I felt moved to see if he wanted to read them. And he did. And then, I asked for feedback. Asking him for feedback was terrifying. I wanted him to respond honestly and I also wanted him to have liked it and want more. I would have been mortified if he hated it and horrified if he lied to make me happy. It took every ounce of patience I had to not look over his shoulder as he read, and I cringed the few times he pointed out proof-reading errors. But, having handed over the pages, I had to live through the result. He needs to be asked direct questions in order to discuss what he has read, so I asked him to tell me what he knew about the characters from the first few pages. I did my absolute best not to ask leading questions. I am pleased to report he understood at least as much about the characters as I had hoped the three pages would convey. He did use his knowledge of me to pinpoint the age of the two kids more accurately than the “older than me” that he inferred directly from the text, but he is 8 and has little frame of reference for judging between a 12-year-old and a 16-year-old – which is an issue I will be discussing with the editor. My son is not quite my ideal reader, but he is close. He reads more middle grade fiction than YA and my novel is definitely heading in the YA direction with this draft. He prefers science fiction to fantasy, and genre fiction to realistic fiction. My WIP starts in a realistic mode, but is definitely a fantasy. More importantly, he neither lies well nor continues reading when he is not enjoying himself. The biggest compliment he gave me was an hour or so after he gave me back the pages. He asked if I had the next chapters ready for him to read. I don’t, but I have a new incentive to get them written after this morning. It took a lot of courage for me to give him the pages, but I am extremely glad I did. Do you have a first reader you usually turn to? Or does it depend on the work? Part of a series on truth-telling in life and art. See the first post, Dare to Be Yourself, here. This post follows on from The Trouble with Passing for “Normal”: Especially for our Gifted Girls, Part I.
I started trying to pass for normal before I had any idea I was gifted. All I knew was that I was different and that different was bad. I have no memory of the beginning of the process. All I know is a story my parents tell, one that in retrospect shows a problem that nobody thought to address. For decades, this story has been told as an example of how clever I was. It is only now as an adult, going through the process of recognizing my own identity that I see it as a cautionary tale. I was born in England and attended early school there. My father took a sabbatical in the U.S. when I was 5 and I started Kindergarten. I was one of two students who entered Kindergarten already reading and my only memory from that year is of the two of us lying on the floor by the coat cubbies reading while the other students learned the letters of the alphabet. The story my father tells goes like this. I was 5 and I was hiding myself to fit in. It is a habit I am still trying to break. As a teenager, the disconnect between my deep truths, the truths I let myself be aware of, and the facade I was presenting to the outside world became unmanageable and I suffered an existential crisis. In the midst of that crisis, I found the ground of my being, and moved forward, but it certainly looked like all was lost for some time. If my life were a novel, that crisis would have been the final turning point where I rallied and strode forward into the fight that would lead to the novel’s resolution. But life is messier than art. In life, the protagonist doesn’t always make the choice to fight. And, resolution is not assurred. But, that turning point is the place in my memories that I need to access in order to write about the descent into deep crisis that will push my protagonist into change.